The Danish DJ, composer and producer Katrine Ring (b. 1960) is one of the few DJs at the international level who has specialized in classical music. 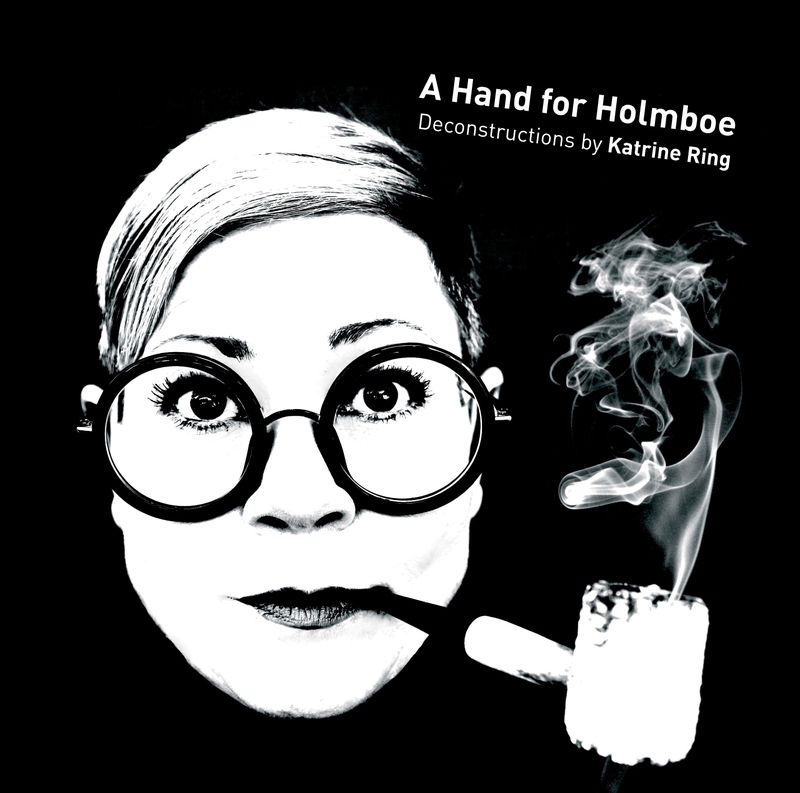 On this album she remixes and deconstructs a number of chamber concertos by the composer Vagn Holmboe (1909-96) in a musical game of hide-and-seek that breathes new life into the works in a constant play of memory and recognition. The original recordings by the Danish National Chamber Orchestra and the conductor Hannu Koivula are included as a bonus CD. A Nice Cup of Tea, Please! 2:41 6,40 kr. Kaningrin (Rabbit Laughter) 3:41 6,40 kr. Skynd dig! (Hurry Hurry) 4:44 6,40 kr. Helikopter (Helicopter) 4:13 6,40 kr. Fuglene (The Birds) 5:49 9,60 kr. Undervejs (Ongoing) 5:02 9,60 kr. Bjørnen kommer (The Bear Is Coming) 4:21 6,40 kr. Avra for Laura (Na na na na na) 3:21 6,40 kr. Vagn og Gunnar ryger pibe (Vagn and Gunnar Smoking Pipes) 5:54 9,60 kr. Vagn og Gunnar ryger pibe (Vagn and Gunnar Smoking Pipes) (Basic jump style) 5:53 9,60 kr. Chamber Concerto No. 4, Op. 30 – II Andante un poco tranquillo 5:29 9,60 kr. Chamber Concerto No. 4, Op. 30 – I Allegro non troppo, ma con brio 6:54 9,60 kr. Chamber Concerto No. 1, Op. 17 – II Molto allegro 6:53 9,60 kr. Chamber Concerto No. 8, Op. 38 “Sinfonia Concertante” - I Allegro con brio 6:58 9,60 kr. Chamber Concerto No. 2, Op. 20 – I Allegro con brio 10:04 12,80 kr. Chamber Concerto No. 7, Op. 37 – II Allegretto con moto 5:21 9,60 kr. Chamber Concerto No. 6, Op. 33 – I Andante-Allegro con brio 7:22 9,60 kr. Chamber Concerto No. 9, Op. 92 – III Finale: Allegro 7:28 9,60 kr. The centenary of the birth of Vagn Holmboe (1909-1996) was marked in 2009. The festival ‘Holmboe in Horsens', an annual event, asked me to work with Holmboe's music and perform my interpretation of Holmboe's works. I immediately said yes. It was a dream job. At that time I had very little experience of remixing and producing classical music. On the other hand I had more than 17 years' experience as a DJ - three of those years with classical music. So I was thrilled, but also very aware of the challenges inherent in classical music for a DJ. Classical music isn't formatted or created for DJ use. This involves many problems that have to be solved before you can handle classical music in a DJ mix. The first problem is the very wide dynamic range from the very soft sounds, for -example a recorder, to the very loud symphony orchestra. One of them you can hardly hear, the other drowns out everything. This means that the sound volume constantly has to be adjusted by the DJ. You have to keep turning the music up and down so you won't irritate the audience. The next problem is that the variety of instruments is so great that it hardly makes sense to talk about DJ-friendly classical music. However, there are a few standards you can rely on to some extent: for example chamber music (especially Baroque) and choral works. The third problem is that classical musicians don't keep time! In classical music you work with the concept of pulse, which means that the tempo can change from bar to bar to suit the musical expression. It's more or less impossible to beat-mix, that is, to mix the rhythm from one piece of music over into the next over several bars. The fourth problem is the harmonies. For a DJ with a rhythmic background the rhythm and tempo are the primary consideration, while harmonies and tonality are secondary. That is simply accepted in electronic music, for example, where the rhythm is such a bearing element, but it won't do in classical music. There are far too many notes, so a minimum of harmonic feeling is required. The fifth problem is then to play the music while taking all these issues into account at the same time! Rock, pop and electronic music for DJ use has implemented a number of functional solutions in terms of the production of structure and sounds. It's practical to use a fixed structure for a number. When a song is built up around a 16-bar structure, that's because it's a well tried, familiar and therefore suitable structure for both the audience and the DJ. That is, once 16 bars have passed, there's a change in the music, and this is marked by the dancer or the DJ to forge a contact between music, dance and DJ. Purely in terms of sound, compression is a functional solution. The dynamics stay constant throughout the number. This means that the low-volume passages that you can hardly hear are brought up in volume by the powerful compression. At the same time the loud passages are toned down so the variations between soft and loud are smaller with compression. The sound is so to speak squeezed together. Visually this can be seen as a graphic wave form that looks like a large black bar because the sound of the number is compressed so much that it can be heard and penetrate through even a very poor transistor radio or a car radio. Funnily enough it is precisely in these two areas - structure and sound - that a change is taking place at present. Rock and jazz, and especially electronic music, are breaking up the rigorous 16-bar structure and trying out other methods such as pulse, which we know from classical music. And classical music is now to a greater extent being produced with compression, precisely so it can be played on a car journey or on a transistor radio or as an MP3 file in low resolution. More and more classical artists and composers are deliberately using compression in their recordings to match the production of pop records. In other words, methods and experience are being exchanged back and forth across the musical spectrum. Conscious of the possibilities and limitations, I chose to concentrate on the chamber concertos. Vagn Holmboe worked with this orchestra size over a 17-year period (1939-1956), when he wrote thirteen chamber concertos, and then he never went back to that orchestral format again. In tonality and harmony the chamber concertos are modern, with stringency and simplicity and blocks of melody that can be edited cleanly in a computer and looped, and warped and pasted, and all sorts of other things too. They contain valuable raw material that is unique in the hands of a DJ. Fortunately, all the chamber concertos have been recorded by the Danish National Chamber Orchestra on a series of four CDs and released by Dacapo in the period 1996-1998. This ensures compatible sound and production in all the chamber concertos, and that is an advantage if the sound of my finished result is also to be consistent. I listened through all the chamber concertos and selected the suitable numbers (or movements, as they're called in classical music). I hope the listener will be interested in and keep up with musical change. As early as my first listening I mentally sorted the material, cut out everything boring and kept the strongest things in the individual composition. When I tell people about that process I often get strong reactions from people who like classical music, while younger listeners, who are used to the DJ and remix culture, immediately understand the procedure. What is considered cynical by one group of people is viewed as natural by another group. Very few new elements are incorporated in the deconstructions. They are all audio recordings of real-life sounds. Some of them are obvious, for example the cat purring and the tea being poured into cups in A Nice Cup Of Tea, Please! or the children's sounds in Avra For Laura (Na na na na na na) or the sneeze and the laughter in Kaningrin (Rabbit Laughter). Otherwise I have used Vagn Holmboe against himself. The selected sounds and samples in a number come from the recording of the same movement, so there is no contamination between the movements. The structure of the individual deconstructions is functional. They have to be playable in a DJ mix in a sequence of both electronic and classical music. The beginning of some of the numbers can be played as a rhythmic effect. If you add a sound effect as an echo or a delay to the first note, it can function as a sound bridge from the preceding number. The beginnings and ends of other numbers are fluid introductions or fade-outs as a tonal layer that can be woven in or out of a transition from one number to the next. You can't blame Vagn Holmboe for this statement. He could hardly have imagined that house music would make its debut a few years later in the USA, and that techno, characterized by being repetitive music, would become popular for the new generations of young people who wanted exactly that - repetitive music of high musical and artistic quality. Nor do I see his statement as a condemnation, but as a description of differences in taste. Oddly enough, he himself uses the repetitive plentifully in drone-like sequences, and I have extracted these and used them as the dynamo in numbers like Helicopter and Hurry Hurry! Concurrently with the celebration of the centenary of Vagn Holmboe's birth, the centenary of the composer Gunnar Berg is being marked. He too came from Horsens and was a pipe-smoker just like Vagn Holmboe. They lived in the city at the same time as children, but musically Gunnar Berg belongs to a quite different school. He is avant-garde, brutal, atonal and wild. When I had trouble with the deconstructions, I played around with pipe sounds, pipe residue, puffing, smoke rings and apple tobacco. The result was Vagn and Gunnar Smoking Pipes. I imagined the two pipe-smokers chatting as colleagues around a grand piano in a holiday home by Horsens Fjord, as the wind swept over the sand on the beach.